A-HOTEL.com - Luxury and cheap accommodation in Kaalamo, Russia. Prices and hotel, apartment booking in Kaalamo and surrounding. This indicative offer was derived from the most recently booked accommodation in Kaalamo and sort by the price, from cheapest Kaalamo accommodation to the most expensive hotels. To select accommodation by your preferences we recommend to choose from 1 accommodation offers in Kaalamo in total. By entering the dates of your overnight stay in Kaalamo and using the filter tools you can sort the best possible accommodation for you. The entered dates of your stay are crucial for the most accurate offer as it derives all the online information on pricing and availability of Kaalamo accommodation. Then you can book the selected Kaalamo lodging (hotels, apartments etc.) immediately. Guest House Uyut in Kaalamo has barbecue facilities and a terrace. The property provides a 24-hour front desk. 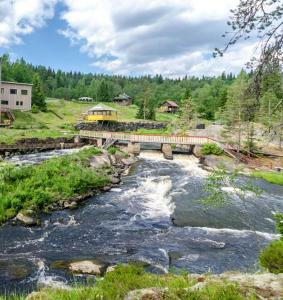 Gostevie Doma Fortuna is offering accommodation in Ruskeala. The property offers a children's playground. Holiday Park Ruskeala is located in Ruskeala. An American breakfast is served each morning at the property. Hostel Ruskeala is offering accommodation in Ruskeala. Both private parking and free WiFi are available at the hostel. 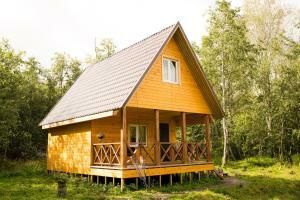 Pet-friendly Tsar Gory Guest House is situated in Ruskeala. Boasting a 24-hour front desk, this property also provides guests with a barbecue. Located in Ruskeala, Inn Frants Ielof Sviennson features a private beach area, a garden and a terrace. Free WiFi is available. Offering a barbecue and views of the lake, Baza otdykha Alasari is located in Ruskeala. The accommodation features a sauna. Located in Sortavala in the Karelia region, Suan-Ryuttyu Lodge near Sortavala features accommodation with access to a sauna. There is also a kitchen in some of the units equipped with a microwave. Boasting barbecue facilities and a terrace, Baza otdykha Khieksielia is located in Khekselya. Featuring a shared kitchen, this property also provides guests with a children's playground. Located by Lake Valkeajarvi, Riihivalkea Holiday Center has a restaurant, karaoke bar, traditional Finnish sauna and a lakeside smoke sauna. Kitee city centre is a 25-minute drive away. Riihijärven Matkaparkki is set in Juurikka. The accommodation has a sauna. Stadion is located in Sortavala. This property offers access to a balcony and free WiFi. Set in Yunanpya in the Karelia region, В гостях у Аннушки features a balcony. Guests staying at this apartment have access to a fully equipped kitchen. Raduga Guest House is a guest house situated in Sortavala. This guest house offers free WiFi. Дачный дом is set in Rekola and offers barbecue facilities and a garden. The property has lake views. 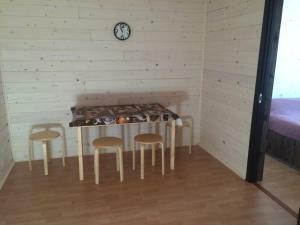 Holiday Home Kitee, rokela is located in Kitee. Guests staying at this holiday home have access to a fully equipped kitchenette. Offering free WiFi and lake views, Guesthose UimalaRanta is an accommodation situated in Sortavala. This holiday home features a private beach area as well as a terrace.